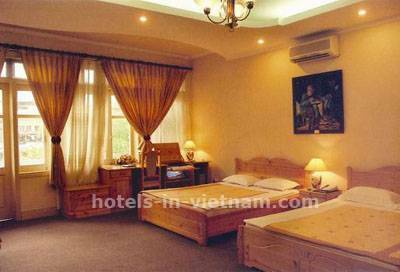 Pacific Hotel located in the old quarter of Hanoi, surrounded by a bustling commercial centre, beside the ancient and romantic Hoan Kiem Lake. It has 37 luxury and standard rooms with exquisite European decor and architecture. Pacific hotel will put you close to everything Hanoi Capital has to offer, and make you feel at home. . . like only friends can. 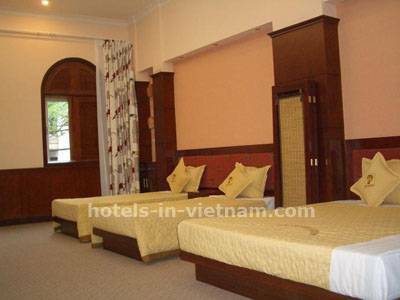 Pacific hotel can be your home away from home while in Hanoi. Pacific Hotel offers you much more value than a 2 star hotel, diverse range of facilities and services, with spacious and well-furnished rooms. In all rooms the following are included: Air-conditioning, IDD telephone, safety box, refrigerator, cable TV, hair dryer, comfortable bath tub, coffee and tea making facility as well as daily fresh fruit and flowers. In our deluxe suite there is the added luxury of private computers with ADSL. And yet another added feature of our hotel is the ADSL or wi-fi in the lobby which is free of charge. 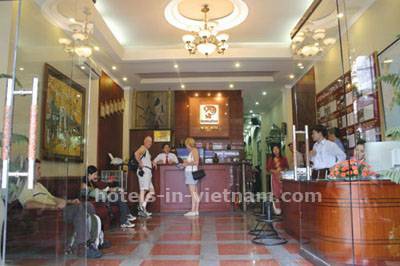 Currency exchange, baby sitting services, reception desk, laundry facilities are some of the other amenities and services that Pacific Hotel in Hanoi are delighted to offer, which have made our hotel a reputed name amongst the finest hotels in Vietnam. The Pacific Hotel is great value for those who wish to enjoy this impressive city. Also we provide complete travel arrangements to suit a variety of expectations and budgets. This service will assist you in your visit to the most impressive sites of Viet Nam, booking hotels and transport, selecting the best guides and restaurants which will allow you to easily enjoy your trip. Everything will ensure your safety throughout your time in Viet Nam. Enjoy the combined comfort of a high standard hotel with the friendly and highly indulging personal care of the hotels staff. Both the accommodation and facilities of the hotel, along with its privileged location, offer visitors the chance to combine both business and leisure. 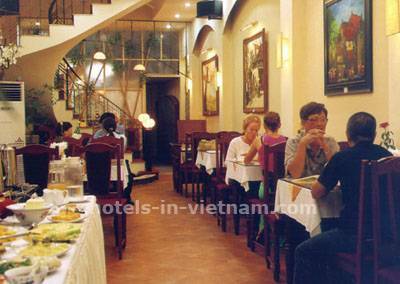 When you come to Viet Nam and experience Hanoi, while staying with us, you will feel as if you are at home. All of the hotel staff are fully qualified and have vast experience and a friendliness that is second to none to ensure that you will enjoy a comfortable and unforgetable vacation. For those of you just passing through, we offer a transit stop so you can securely store you luggage while you wander around Hanoi and grab a shower before leaving on night trains and buses for other exciting destinations. For your convenience, we can pick you up from Hanoi Railway Station and arrange airport transfers on request. Dream the night away! Enjoy the best of what Hanoi can offer while being assured of perfectly designed rooms and excellent service. 37 comfortable rooms and suites with pine wood furnishings, located around spectacularly panoramic view of the old quarter to ensure you enjoy a comfortable stay in Hanoi. Centrally located in Hanoi's Old quarter. It is 07 munites to the Hoan Kiem lake, 03 minutes to Railways station, Temple of Literature. Free pick up from Noibai International airport to hotel applied for booking of at least 04 nights stay. - Cancellation : For guaranteed FIT reservation, there will be no cancellation charges, if a written notice is provided at least 72 hours prior to arrival date. Any FIT reservations cancelled within 72 hours to arrival date or without prior notice or in the event of a no-show, one night rate contract will be charged. For all groups, there will be no cancellation charges, if a written notice is provide at least 10 days prior to the arrival date. Any group reservations received within 10days or in the events of a no show, one night contract rate will be charged. No 30 Cuanam Str, Hoankiem Dist, Hanoi. Near Hoankiem lake, ANZ bank in very central Hanoi's old quarter.